1. 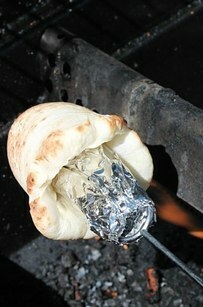 Wrap some crescent dough with some cinnamon sugar around a skewer to make a cinnamon roll-up. 2. 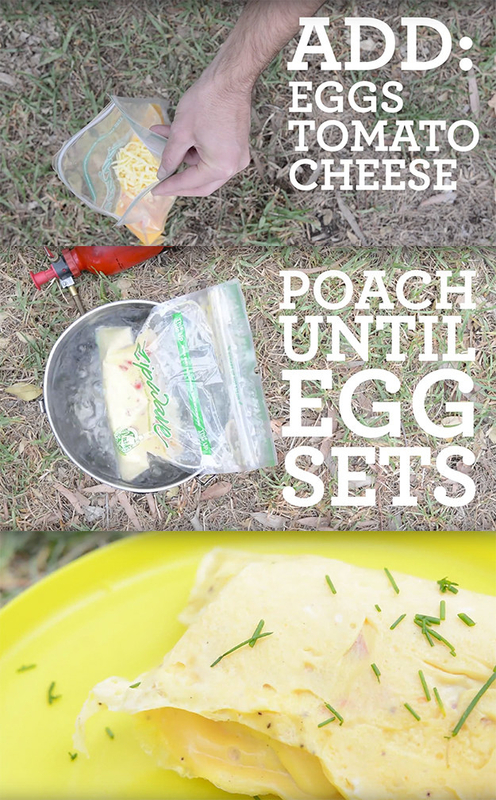 Make an omelet by boiling eggs in a ziplock bag. 3. Make a long-lasting candle out of an orange. 4. Store your spices in old Tic Tac boxes. 5. If you don’t have any Tic Tac containers lying around, you can also use some pill organizers. 6. If you forgot your can opener, just vigorously rub the can against a rock and it’ll pop right open. …then throw a bag into some boiling water, and there you go! 8. 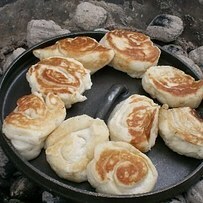 Bake some muffins in orange peels on the campfire. 9. It also works with cinnamon rolls! 10. For easy-to-eat s’mores, try making them in ice cream cones. 11. 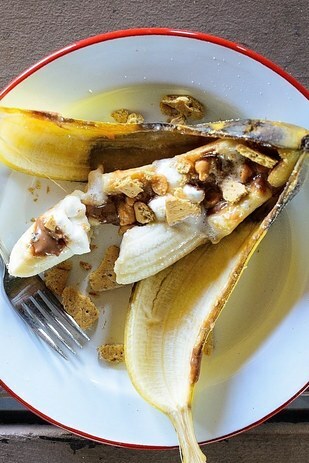 Or even better: make them in a banana boat. 12. 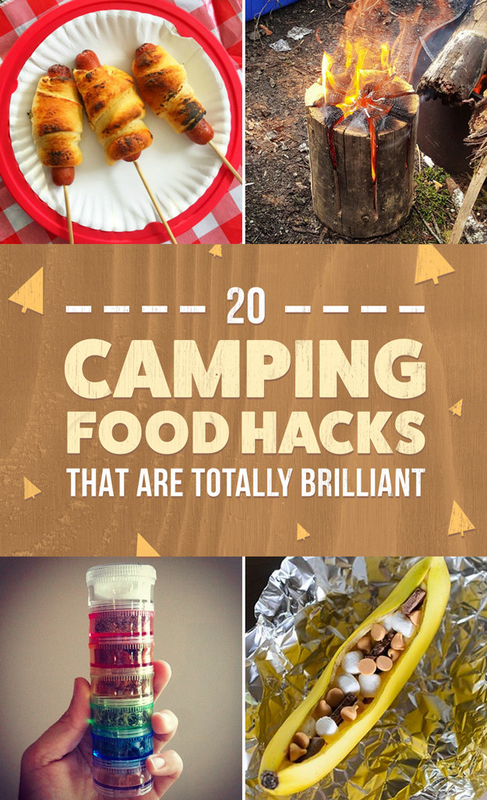 For a quick healthy snack, carve an apple, fill it with trail mix, and bake it on the fire. 13. 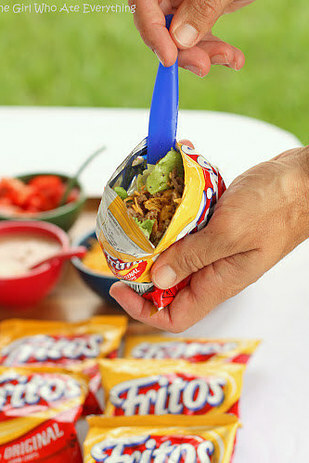 Don’t forget: tin foil is your best friend. Recipe for some cheesy fries, here. 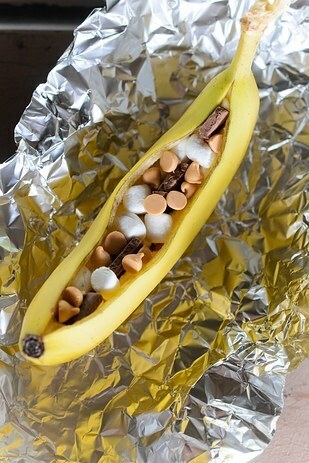 And more foil-wrapped recipes, here. 14. 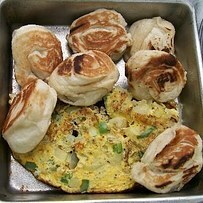 If you’re in the mood for some eggs and biscuits, here’s your solution. 15. 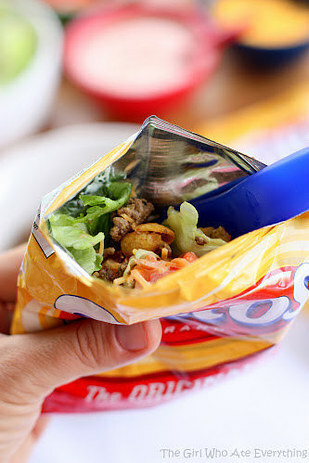 Avoid doing the dishes with some tacos in a bag. 16. 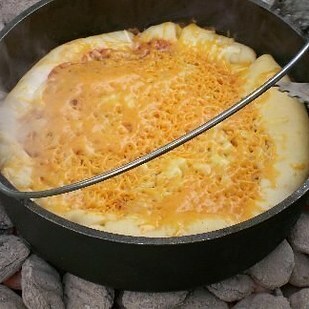 Crescent roll dough can double as a hot dog bun. 17. 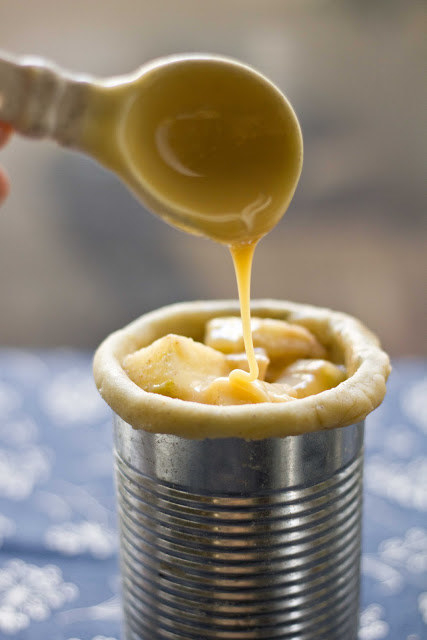 You can even bake an apple pie in a can. 18. 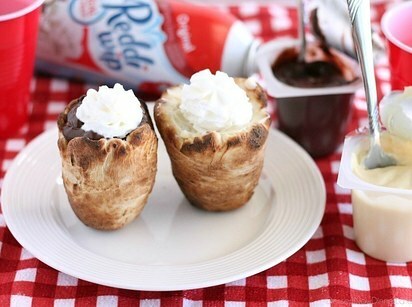 Biscuit dough + pudding + whipped cream = heaven in a cup. 19. 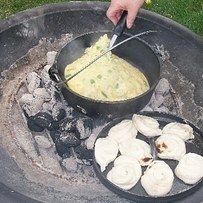 For your campfire, try the Swedish torch method: no need for extra pot supports + it looks cool. 20. 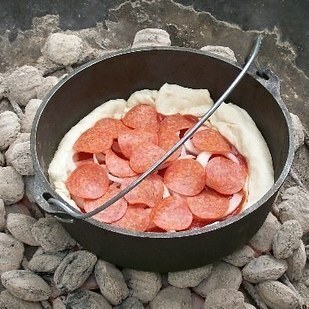 And if you can’t live without pizza, learn how to make one in a dutch oven.